At Northern Quest Resort & Casino, our team is committed to making everyone feel special. From our luxurious hotel rooms and suites to our Forbes Travel Guide Four-Star rated spa, guests can count on receiving world class service. With a variety of top notch restaurants, Vegas-style gaming and exciting entertainment, there’s something for everyone at Northern Quest. Whether you’re a serious gamer or you would rather kick back and watch a great show, the entertainment at Northern Quest aims to please. With 1,800 slot machines, 37 table games, nine live poker tables and a Keno/off-track betting lounge, you’ll find a little piece of Vegas right here in Spokane every day and night of the year. At Northern Quest, we strive to ensure every experience exceeds even the most discerning guest’s expectations. 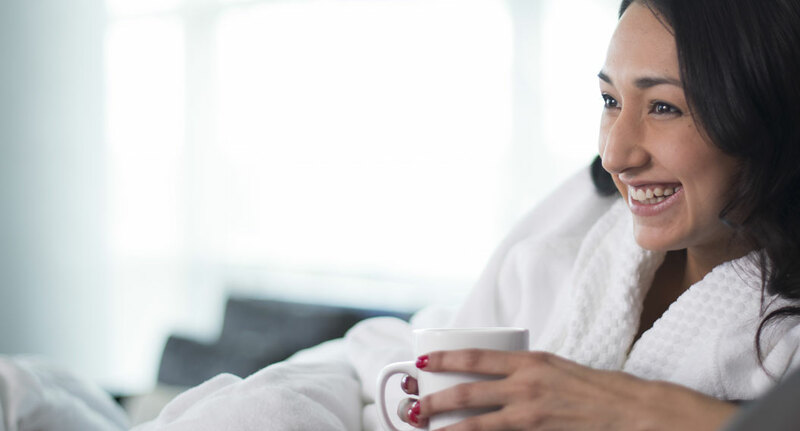 In addition to the luxurious beds, linens and spa showers in every room, each guest receives a surplus of complimentary amenities, including overnight valet, Wi-Fi access, gourmet coffees and teas for use with in-room Keurig coffee makers, bottled water and nightly turndown service. 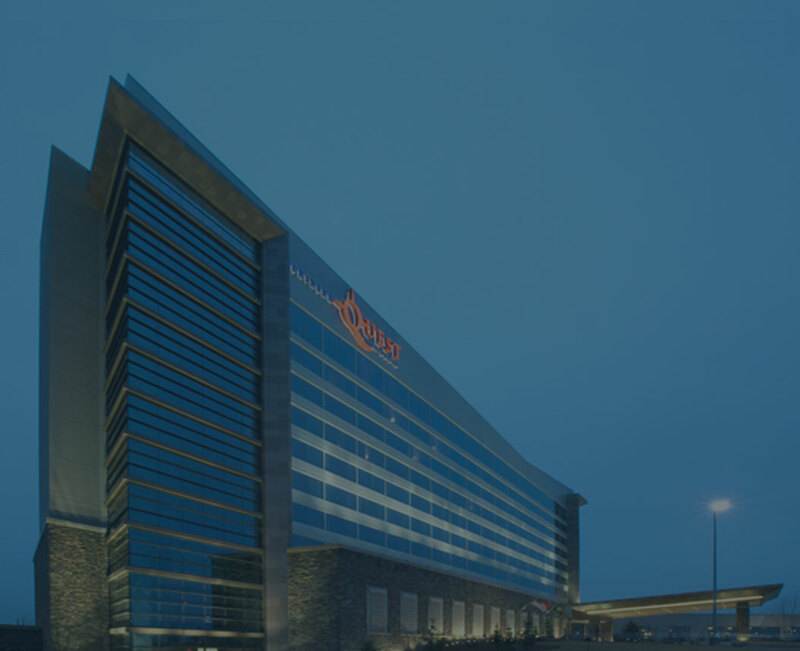 Northern Quest Resort & Casino is proudly owned by the Kalispel Tribe of Indians. Throughout the resort and casino, guests will find tributes to traditional Native American culture and history. Beautiful photos throughout the property celebrate Kalispel Tribal elders and customs. Guests will also notice a river theme in the carpets, wallpapers and décor. 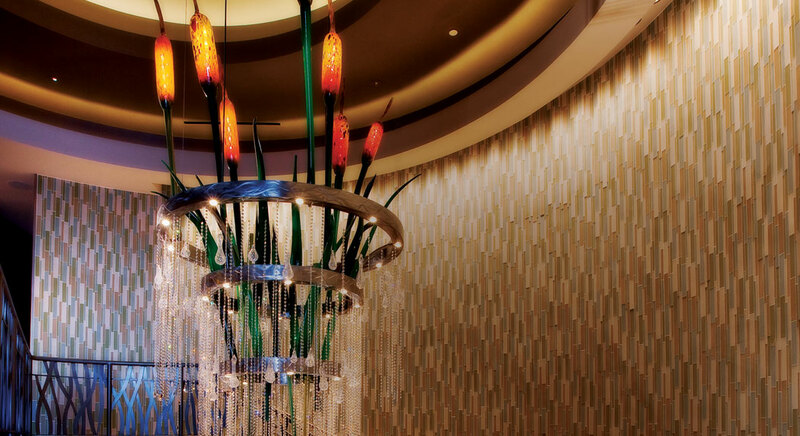 In fact, the chandelier in the main lobby includes hand-blown cattails, leaves and water droplets, paying tribute to elements that have always helped sustain life for the Tribe: the river, Tule reeds and the Circle of Life.